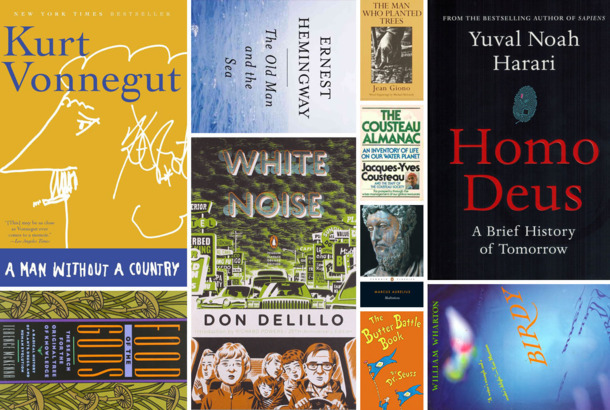 Matthew Modine’s 10 Favorite BooksFrom Kurt Vonnegut to Don DeLillo. How the Grinch Who Stole Christmas Was MadeIt cost ten times more than similar animated films at the time. Check Out the Dr. Seuss AlphabetJog your brain for childhood memories! Cat in the Hat Will Get Another MovieAnimated, this time. See a Dr. Seuss–H.P. Lovecraft Hybrid’The Call of Cthulhu’ as you’ve never seen it before. Taylor Swift, Zac Efron Join The LoraxIt’s an adaptation of the classic Dr. Seuss story. Watch Dr. Seuss’s Oh the Places You’ll Actually GoAn inspirational truth-bomb. Read Star Wars Comics in the Style of Dr. SeussYoda can rhyme. See Pages From a Long-Lost Dr. Seuss ManuscriptIt’s about sports, and all the sports that you’ll sport. ‘Anarchical’ Cat in the Hat Hits the Small ScreenSeuss’s editor approves. ‘Wubble Down’: The Painful Dr. Seuss Rap VideoSomewhere, Theodor Geisel is rolling in his grave. We Are All Bob Dylan: Dr. Seuss Is Bob DylanIn I’m Not There, Todd Haynes imagines seven different versions of Bob Dylan. Some people say that’s six too many. We say Haynes is lazy.